Conservation efforts to keep endangered green turtles alive and well in the waters of Malaysia have suffered another blow. The carcass of a dead turtle was found on a beach in Sabah’s Sitipang. The meter-long reptile had probably died from injures it suffered when it was hit by a motorboat. Based on the results of a postmortem, wildlife officials ruled out floater syndrome (a condition that prevents turtles from diving) as a cause in the animal’s death, as had previously been suspected. “Our post-mortem finding revealed that the turtle, which was about 15 to 30 years old, sustained severe head trauma after being struck by a boat. A most unfortunate accident,” said Dr Sen Nathan, the assistant director of the state’s Wildlife Department. Whatever the reason behind the animal’s demise, the loss of another mature adult to Malaysia’s shrinking green turtle population is a cause for concern to local animal lovers and environmentalists. 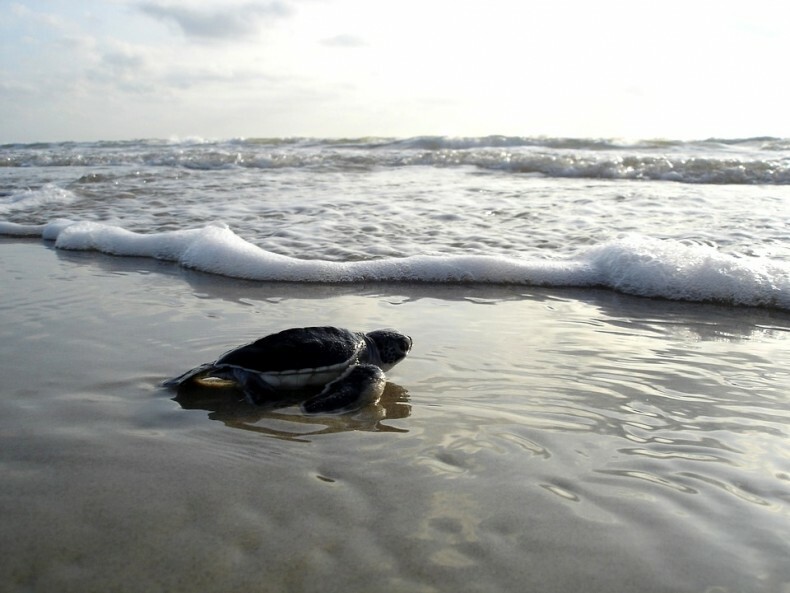 Last year in Terengganu alone, a total of 59 green turtles, with 54 of them females or juveniles, are known to have died. Although green sea turtle populations are relatively stable in Malaysian waters, the endangered reptiles have seen their numbers decline sharply over the last few decades. Known as penyu agar to locals, the green sea turtle (Chelonia mydas) nests on the beaches and islands of Terengganu, Sabah, Sarawak, Pahang, Johor and Perak. Nesting programs on several islands seek to boost their numbers. 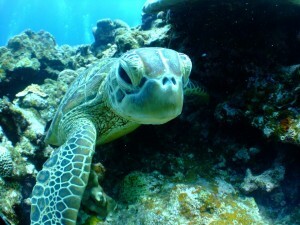 Encouragingly, on Pulau Libaran in Sabah green turtles have been nesting with growing frequency. That’s largely thanks to conservation efforts run jointly by the Sabah Wildlife Department and the green group Friends of Sea Turtles Education and Research (FOSTER), which has been conducting educational programs among locals to appraise them of the importance of allowing the eggs of sea turtles to hatch. One recent evening alone, on March 13, a female green turtle laid 73 healthy eggs on a local beach. Over the past few years the number of turtle landings on the island has increased markedly owing to ongoing conservation efforts. Between November 2011 and December 2015, a total of 21,672 hatchlings were released into the sea, including 14,851 green turtles. The rest were hawksbill turtles, another endangered species protected under the Sabah Wildlife Enactment 1997. People who possess or consume turtle eggs can face a fine of up to RM50,000 and/or five years in prison. A few days ago, four baby green turtles were left in a bucket outside FOSTER’s office by someone who clearly meant the young reptiles well. 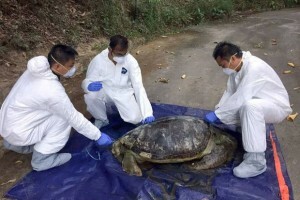 “I think with recent activities carried out by FOSTER to create awareness of turtle conservation and protection, someone may have realised it was wrong to keep the green turtles,” said the group’s vice-president James Leong. The baby turtles were released into the sea. May they live long and prosper.